So you’re going to have a baby. The day is getting closer and you are growing in excitement not only about meeting your new little boy or girl, but also about just not being pregnant anymore (Let’s face it, those last few weeks of pregnancy tend to be a bit miserable.) Then that tiny new person arrives and you are ecstatic! If you are like me, maybe you get about 2 hours grand total of sleep during your three day stay in the hospital (because no one sleeps in the hospital) and somehow, despite the lack of sleep and the immense amount of strain your body has been through, you feel so energized! You may wonder how it’s possible you aren’t more exhausted than you’ve ever been, but don’t be misled. The crash is coming. 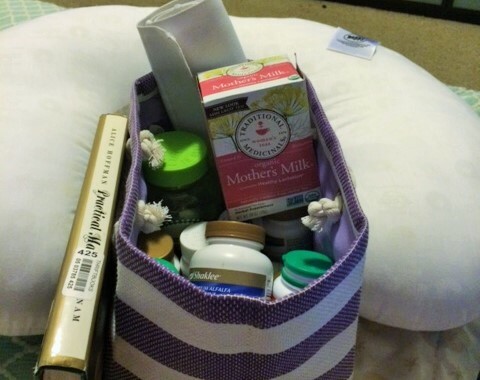 So once you’re home enjoying your “babymoon,” and trying to take care of your newborn, here are some things that I recommend you try out to help take better care of yourself…besides the obvious like sleep, food and absorbent pads for various areas of your body (and yes, you do need lots of those). So, in no particular order, here are some awesome products and items that have made my life so much easier during this time of transition and physical recovery. Hopefully this list will help you out or help you help out someone in your life! Supplements and Pain Relief: Even if you are not normally a pill taker, it is so important to give your body some awesome supplementation during this time! I’m listing the current supplements that I am taking (which have definitely helped!) You’ll probably notice that a lot of the products I use are Shaklee products, which I believe in firmly and of which I am a distributor. However, I’ve also discovered some great products which are made by other companies , so I wanted to share about those, too. Your prenatal. It’s pretty common knowledge that your baby still needs the folic acid if you are breastfeeding. However, your prenatal is not enough to supplement the nutrition you need. Knowing I’d be using additional supplements, I went with the store-brand gummy prenatals from Kroger. Because…gummy vitamins. However, if you are not going to supplement additionally, then at least try to get a prenatal with iron and calcium for you. Shaklee Iron + C. Even if you’ve never struggled with anemia (I have), your iron will be low from all the blood loss after birth. Being anemic makes you dizzy, have headaches, feel fatigued and irritable…not something you want on top of everything else. I like Shaklee’s Iron + C because I can tell a difference right away. The vitamin C increases the absorbency of the iron, which is incredibly important. Make sure you take some kind of iron supplement, no matter what brand, and see if you can find one with C.
Shaklee Osteomatrix (calcium + magnesium, Vitamins D,K, Zinc). Your baby is like an adorable little vampire that loves you. Think Renesmee. Actually, don’t. Creepy. Anyway, failing to take calcium during and after pregnancy can put you at risk for osteoporosis in the future. Milk and yogurt is great, but it’s simply not enough. Get your calcium, ladies. It Works Greens. It Works is popping up everywhere lately. I was kind of wondering what it was all about and tried these greens out from an It Works lady that I know. Anyway, they really do work! These are great for new moms because they are energizing and detoxifying…and “detoxifying” after giving birth can be a painful experience-this definitely helped in an all-natural way. Fenugreek. My milk supply came late and has been a bit low. This was recommended by my doctor as an all-natural booster. I have a brand called Solaray because it’s what was available, but there are numerous different sources for this herb. Some people cook with it. I do think it’s helped. Milk Thistle. Another milk-booster (same brand) recommended by the lady at the health food store. Mother’s Milk Tea for Healthy Lactation by Traditional Medicines. If you are trying to boost your milk supply and you have to choose one source, I’d actually recommend this tea above the Fenugreek and Milk Thistle simply because it has both in it already. It’s also got fennel, coriander, anise….ect. It’s not delicious, but it definitely doesn’t taste bad, and it’s a nice alternative if you don’t like taking pills. Shaklee Stress Relief- Because even if you don’t feel stressed, your body is stressed and stress does bad things to you. This is an all-natural stress reliever that has helped me a lot. If you want to try any kind of stress relieving supplements, just check with your doctor if you are not sure about ingredients. While I feel comfortable recommending this stress reliever, other types of may contain St. John’s Wort which I would not recommend for nursing moms. Shaklee Alfalfa- I’ve discussed the wonders of Alfalfa already on another post, here. It also works as a detoxifier after you come home from the hospital, bloated with like 3 bags of saline water. Pain relievers: Tylenol and Dermoplast Pain Relieving Spray. My doctor gave me some prescription meds for pain, but I noticed they were essentially just Hulk-strength Tylenols. If you don’t get lucky with Hulk-strength prescriptions, just remember that Tylenol is safe to use during pregnancy or post-partum while breastfeeding. Also, Dermoplast Spray is amazing for external pain relief. They gave me some at the hospital. You can get this stuff at Walmart or Walgreens. Other Goodies: If you hate taking pills, consider these items the “fun stuff.” Before you get all, “I can’t buy all this stuff!” keep in mind that most of these things are probably in your house already. Just pull them out (or have someone go through your house and find them for you) and keep them at the ready or handy at your “station” to make yourself feel well-taken care of. Some of these items could fit on a registry or found at a lower than advertised cost. Boppy Pillow-Okay, since Kora was born this has been the number one most used item we received off our registry. It’s the simplest thing-a giant, donut-shaped pillow….and yet, it makes life much, much easier. Can’t move your arm to hold your baby in the hospital cause there are like 15 IVs in there? Boppy. Need to set your baby on your bed for a few minutes. Boppy. Want to let a kid in your family hold the baby? Boppy. Want to read and nurse? Boppy. Want to write a 2,000 word blog post while holding your baby? Boppy. Seriously. Register for this. Something that makes drinking water more fun. Whether it’s a water bottle or a big, hospital cup or a plastic cup from your favorite restaurant, we all have that cup that makes us drink our water. I like the giant plastic ones or big mason jars…and straws…I always drink more water when there are straws and ice. Or lemons. Whatever works for you. It’s so, so important to hydrate! Some type of belly binder- I really don’t know if there’s anything special about the Bellefit or Belly Bandit because, frankly, they were out of my budget. However, I have been using a workout sweat band, and I think that works just as well, if not better, at helping the tummy go back down. It’s not all the way back to normal yet, but it’s been flatter than I expected. Some of that’s probably because this is my first baby or because I worked out a lot while pregnant. However, I do think the band helps. Also, it’s kind of hard to like, sit up or stand up straight after birth. This helps with that too. There’s no reason to break the bank though…there are lots of inexpensive versions available on Amazon, and it seems like they all do the same thing. A refreshing, non-irritating shower gel. I really like Burts Bees Energizing Shower Gel (ginger and citrus) or Dr. Bronner’s Magic Soap (peppermint) as all natural options. It’s important to use something that will make your shower count (as in, you will feel super clean and rejuvenated) and that won’t irritate your baby as you cuddle him/her. Your favorite kind of coffee and creamer. Pretty self-explanatory, right? Some good reads and movies for the hours you will be stuck on your rump. Pick out some “I’ve been meaning to read this” reads ahead of time or find some deals on Kindle. Borrow books or movies from friends. Fill up your Netflix cue with recommendations. Pack up the maternity clothes, but bring out the lounge/sportswear. This is a super personal suggestion. I was so sick of maternity clothes that I immediately packed them all up and/or shared with various friends who were expecting. However, I still wanted to be comfortable so I found all my regular, comfy, loose-fitting clothes and have been wearing those…think yoga pants, loose tops, favorite tee-shirts, sophie shorts, etc. Lanolin cream. Kind of an essential for sore or cracked ta-tas. Comfortable nursing bras -Target sleepwear bras & camis are the best I’ve found! Put them on your registry! Something to make yourself feel pretty. It’s easy to feel kind of unattractive while you are adjusting to all manner of physical weirdness, wearing your sloppys and feeling slightly confined to the house. So take a little time to pamper. It’s just the simple things like doing a quick facial or doing your hair. It may be hard to take the time when it feels like it comes in such limited spaces, but do a little something to make yourself feel special…cause you are!